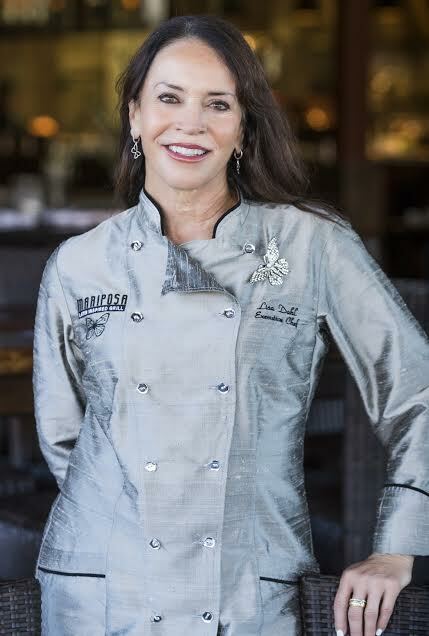 If you’ve ever eaten at any four Chef Lisa Dahl restaurants in Sedona, you’ve noticed she often forgoes the chef’s coat for high-fashion couture as she breezes from table-to-table greeting guests and bustles in-and-out of her kitchen preparing her award-winning cuisine. Like her passion for great food and fine wine, fashion has always inspired her culinary career. For the first time in Arizona, Chef Dahl is bringing Salvatore Ferragamo (namesake and grandson of the venerable fashion house) to Sedona for a rare and exclusive winemaker dinner on Oct. 20 at 6 pm. Coming all the way from Tuscany to Sedona, Ferragamo is CEO of the Ferragamo family’s agro-leisure business which includes Il Borro Wines. Paired with five courses from Chef Dahl, Ferragamo himself will take guests on the incredible journey of his family’s wine legacy. A place of rolling hills and lush farms rising to the Apennines, the Ferragamo family winery is located within a village name Il Borro where the wines are made with a passionate respect for nature and embrace the essence of the surrounding verdant territory, giving each wine its own distinctive character. Limited seats are available and a quick sell-out is expected. The dinner will be held at Chef Dahl’s newest fine-dining restaurant, Mariposa Latin-Inspired Grill, which is nestled on a scenic bluff overlooking panoramic views of Sedona’s red rocks. First Course: Sashimi grade yellowfin tuna parfait of pink grapefruit, pickled ginger, avocado, chipotle aioli and potato haystack. Second Course: Organic local mixed greens, red and golden beets, spiced pecans, Black Mesa Farms chèvre with elder flower vinaigrette. Wine: 2013 Il Borro Piano Di Nova, Syrah / Sangiovese BlendThird Course: Quince formaggi ravioli con funghi e’ gorgonzola crème sauce. Fourth Course: Duet of Creekstone Farms filet medallion with house chimichurri paired with a medallion of wild grouper accompanied by oven roasted campari tomatoes, charred fresh corn, roasted asparagus with truffle butter. Tickets are $150++ per person. Mariposa is located at 700 AZ-89A in Sedona. For reservations, call (928) 862-4444. For more, http://mariposasedona.com.